Casually we call ourselves Art Book Club because we are mostly visual artists, art lovers, book lovers, writers and teachers of literature and because we haven’t been able to come up with a name we can all agree on that’s better than Art Book Club. It’s a privilege and an honor to be a part of this small community of smart, creative, funny women who are critical thinkers and deeply engaged in developing their craft and expanding their knowledge. 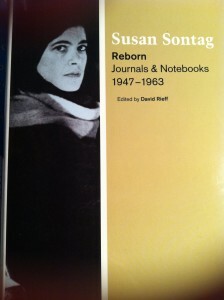 Last session we read Susan Sontag’s REBORN: Journals and Notebooks 1947-1963, with an insightful introduction by her son David Rieff, who edited the book. When I first read Reborn a few years ago, I was surprised to discover Sontag’s complicated relationship with Cuban-American playwright, Marie Irene Fornes who I met when I was a graduate student at Brown University. From the age of 14 when the journals begin until her mid 20’s, the book chronicles Sontag’s amazing reading lists, ideas for books, her intimate vulnerabilities and complex relationships, her doubts and big questions. We spent nearly five blissful hours engaged in thoughtful conversation sparked by issues raised in the book about identity, craft, the private lives of public figures, and the function of a journal in our lives among other things. 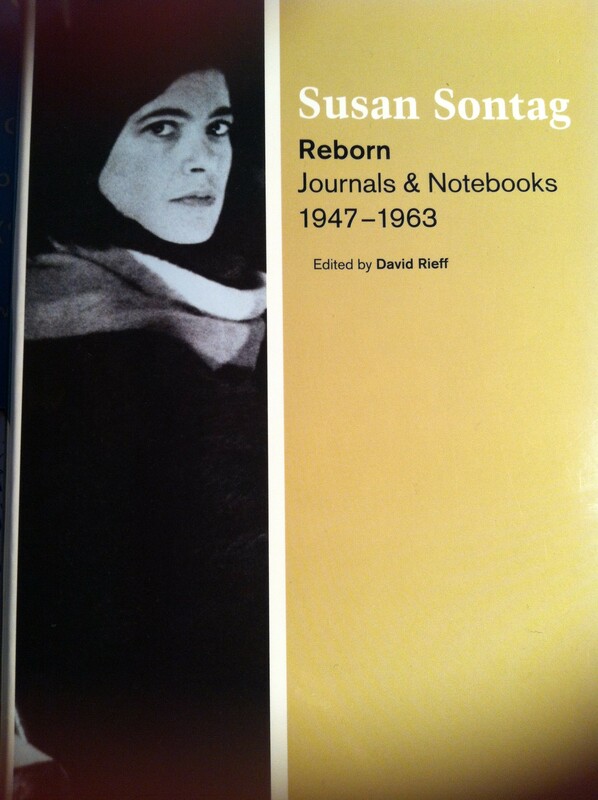 It prompted me to read Sontag’s essays, watch her interviews on Youtube and think seriously about what I want to happen with my 25 boxes of archive materials that include journals, letters and original notebooks and manuscripts from the age of 12 to the present. Why do you keep a journal and what do you want to happen to them in the future? This entry was posted in Art, Books on June 8, 2013 by Shay Youngblood.